Recycled brass head of buddha bead with 4 mm opening. Compatible with Pandora and Troll. Sturdy, beautiful, eco and fair trade! Fair Trade. Recycled Brass. Made in Bali. Bangles with Buddha on a long recycled brass chain. It is a set of 5 bangles hooked together with a a circle, a Buddha pendant and a shanti tag hanging on a long necklace. Shanti means peace. You can wear this as a necklace or take it off the chain to wear as bangles bracelets. They are made of recycled brass. Sturdy, beautiful, eco and fair trade! Compassion. Sterling silver small buddha pendant or buddha charm. 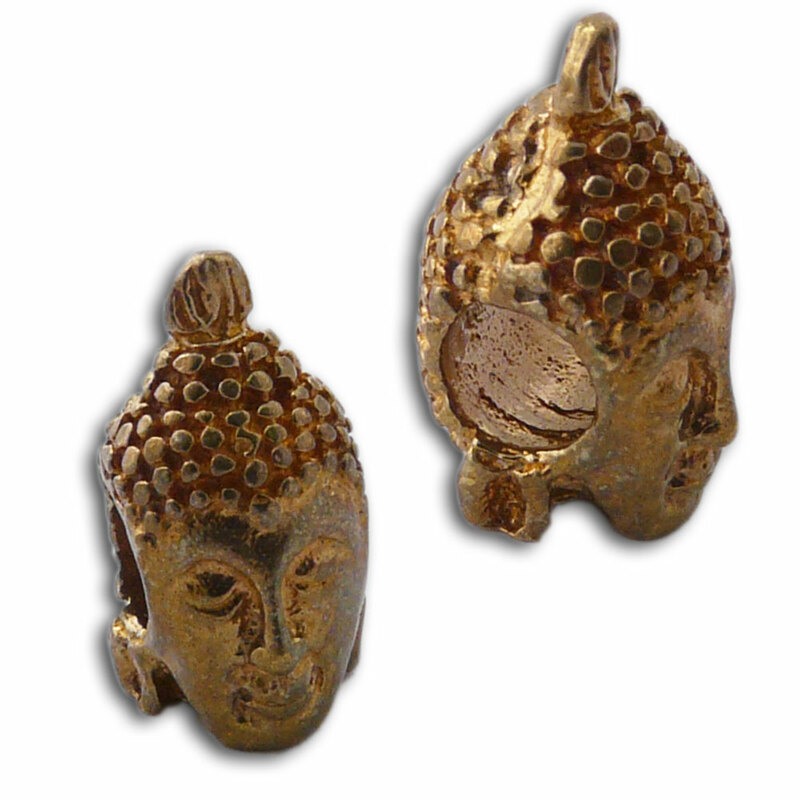 Nice and simple buddhist charm for man, woman or child.